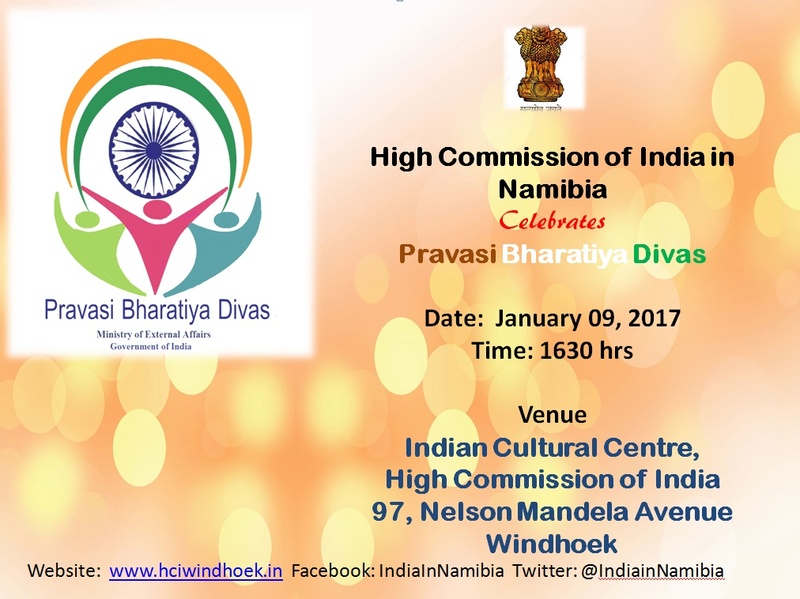 High Commission of India will be celebrating Pravasi Bharatiya Diwas on 9 Jan 2016 from 1630 hrs. at Indian Cultural Centre in the Mission. All persons of Indian origin are cordially invited.